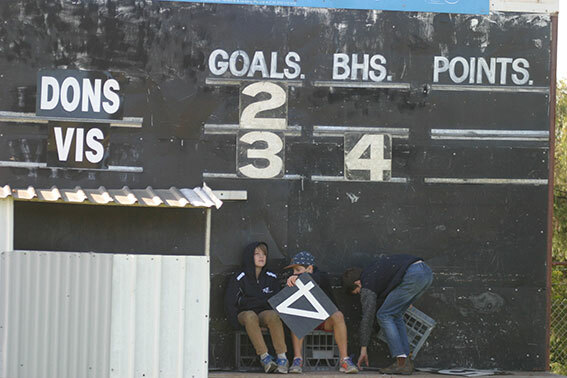 The scoreboard trio at Donnybrook work slickly but don’t disguise their support for the Dons. 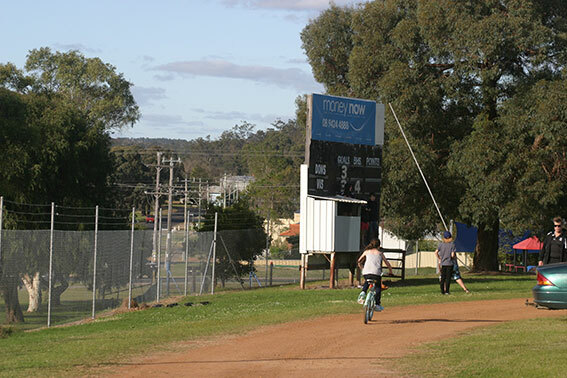 A goal by Donnybrook is followed by cheers from the scoreboard and then they quickly get to work and put the score up in a flash. 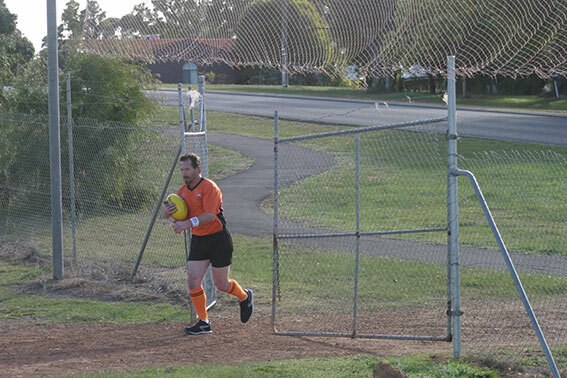 There’s another idiosyncrasy at the scoreboard end at the VC Mitchell Oval – the ball regularly sails out of the ground onto Marmion Street, part of the boundary umpire’s role is go out through a back gate, avoid traffic and collect the ball. 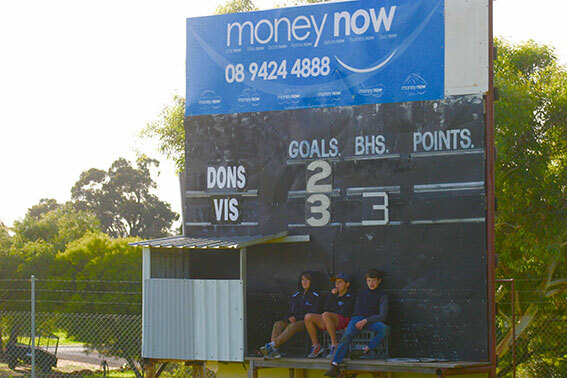 During our visit the Dons conceded the first three goals to Busselton but fought back to gain the lead by quarter time. 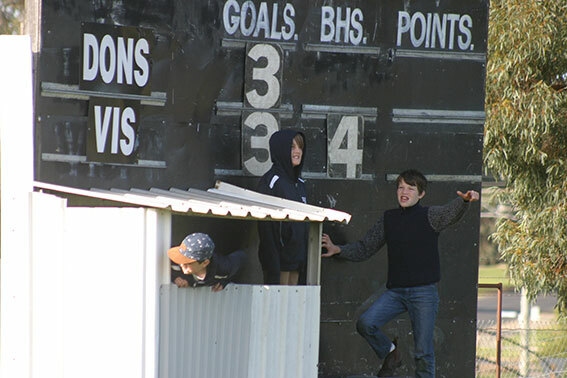 The visiting Magpies won the round nine game by 26 points. 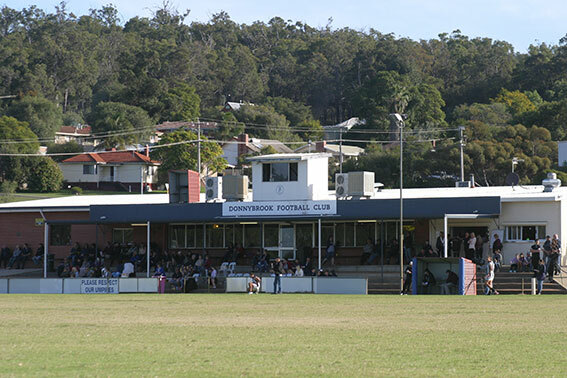 Footy started in Donnybrook in 1897 and the club joined what is now the South West Football League in 1957. The Dons were dominant when they won premierships in 1998, 1999 and 2000 but haven’t achieved the major result since.